This article is for real estate investors and my real estate clients. The “due-on-sale” clause is probably the most talked about, feared and misunderstood topic in real estate. This article will dispel any misunderstandings you may have about the due-on-sale and suggest a simple, yet effective strategy to get around it. From a legal standpoint, a real estate agent who does not disclose the transfer to the lender has committed no breach of ethics. In fact, some of the standard contracts approved by the California Association of Realtors contain provisions contemplating a “subject to” transfer (see, e.g., form LRO-14, Residential Lease with Purchase Option). The Offical Utah Division of Real Estate forms also contain provisions for transfers in the face of a due-on-sale provision. Form 3248, the “official” real estate contract used by New York Attorneys (jointly prepared by the New York State Bar Association, the New York State Land Title Association), contains a specific paragraph contemplating the buyer taking “subject to” an existing mortgage. 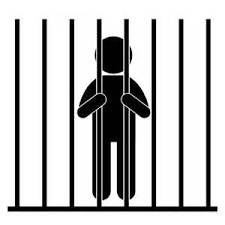 There is a law in MI (Sec 445.1628) that does make it a crime for a licensed agent to help someone evade a due on sale, but it only applies to the long-gone “window period” loans (originated between January 5, 1977, and ending on October 15, 1982). Thus, if it is not illegal or fraud for an attorney or broker to conceal a transfer of ownership, it is certainly not for a lay person. It is not a bad idea, however, for any party or real estate agent to disclose the existence of a due-on-sale clause to all parties involved in the transaction so that they are aware of the risk. Utah Rule R162-6.2.14 states “Real estate licensees have an affirmative duty to disclose in writing to buyer and sellers the existence or possible existence of a “due-on-sale” clause in an underlying encumbrance on real property, and the potential consequences of selling or purchasing a property without obtaining the authorization of the holder of the underlying encumbrance” (note that the rule does not prohibit such transactions). 18 U.S.C. Sec. 1010 makes it a crime to make any false statement in regard to a loan insured by HUD. This law has been used to prosecute borrowers and their brokers who lie on their loan applications or “fudge” down payments for FHA loans. It has never been used to prosecute due-on-sale violators. In fact, the HUD-1 Settlement Statement (lines 203 and 503) that is used for virtually every loan closing has a blank which states, “loans taken subject to.” How could a HUD-promulgated closing form contain such a blank if it were a crime to take the property subject to an existing loan? Remember that the due-on-sale is triggered by “transfers” other than a deed. A lease of three years or more or a lease with option to purchase (of any term) also gives the lender the option to call the loan due. Real estate agents routinely engage in lease option transactions and generally make the lease/option a compensable part of their listing agreements. In fact, REALTOR.com, the official website for the National Association of Realtors, contains thousands of listings for properties available by lease/option terms. It would be fair to assume that the large majority of these properties have underlying loans that would be triggered by the seller engaging in a lease/option transaction. Thus, if a lease with option triggers the due on sale, and real estate agents assist sellers in doing lease/options, then wouldn’t hundreds of thousands of agents (as well as REALTOR.com) be engaging in fraudulent transactions? To take it one step further, consider that major title companies routinely assist in closing “wraparound” transactions that also trigger due-on-sale clauses on underlying loans. So, these companies, their employees, and their attorneys would also be guilty of conspiracy to commit fraud. Furthermore, attorneys, escrow agents and other parties to a transaction would also be guilty of conspiracy to commit fraud. In theory, a lender could sue the borrower for fraud for deliberately making a misstatement regarding the status of his loan. Of course, this makes no sense, because a lender would do better simply calling the loan due and foreclosing the property. Furthermore, a case for fraud requires someone to lie in the first place; keeping your mouth shut is the easiest way to avoid the issue. The case for fraud would be pretty hard to make since the standard FNMA mortgage agreement does not state that the borrower has an affirmative obligation to notify the lender if he transfers title or any other interest in the property. In theory, a lender could sue you, the buyer for fraud. In one such case, Medovoi v. American Savings & Loan, 89 Cal.App.3d 875 (1979) the court declared a lender could not sue the buyer for fraud for deliberately concealing a transfer since he has no legal obligation to tell the lender of the transfer. Another theory is called “tortious interference with contract”, that is, inducing the seller/borrower to breach his mortgage agreement. Oddly enough, I did find one reported case in which the lender tried to make such an argument: Community Title Co v. Roosevelt Savings & Loan 670 S.W.2d 895 (Mo.App. 1984). The court correctly reasoned that the title company was not liable since the borrowers could have found some other means of violating the due-on-sale. In legal terms, there was no “but for” causation. The court noted that the lender could not prove that in a financially-distressed situation, the borrower was likely to pay off his mortgage in full rather than simply default. That’s the reality of the business – why would someone hand you a deed subject to his mortgage if he could simply sell the property for all cash and pay off his loan? The reality is, a seller who does hand you over his property is out of options! Another interesting point the court made in the Community Title case was that the lender had no standing policy on the enforcement of due on sale clauses. These days, most lenders will not call in loans because of the low-interest-rate environment. Thus, a lender would have a very hard time proving damages, as in the Community Title case. The lender’s only remedy is simply to call the loan due and foreclose on the property. A lender cannot seek a deficiency judgment against a borrower who takes subject to an existing loan and does not assume liability for it. Esplendido Apartments v. Metropolitan Condominium Assoc of Arizona, 778 P.2d 1221 (AZ 1989). The late Attorney Robert Bruss, a well-respected nationally syndicated real estate columnist, advocated the practice of transferring properties “subject-to” existing loans without notifying the lender. In his 1998 article, “Nothing Down Home Purchases,” Bruss says, “I buy subject to the existing mortgage and do not notify the lender of my purchase . . . In today’s market . . . a lender would be crazy to push the issue and put the loan into default.” In his article, “The Six Pillars of Assumption,” he advocates the use of a land trust to avoid alerting the lender. Buying a property subject to the existing mortgage loan is a risk versus reward gamble. The reward is that you avoid loan costs, personal liability for the note and conserve your cash. You can also take advantage of favorable interest rates since an owner-occupied loan is likely going to have a lower interest rate than if you originated an investor loan. You can also get away with a lower down payment. This can also be true of other forms of Creative Financing. The legal risk was addressed above, but what is the practical risk? That is, what is the real risk of the lender calling in the loan? Nowadays, the risk is pretty slim. So long as the interest rate on the existing loan is within a few percents of market interest rates, the lender is not likely to accelerate a performing loan. The reason is simply profit; it costs money in legal fees to foreclose a mortgage, and the lender would rather get paid than have another non-performing loan on its books. Of course, if interest rates rose dramatically, lenders may start enforcing the due-on-sale clauses again. Interest rates don’t jump several points overnight, so pay attention to the market if you have several properties acquired in this fashion. Consider refinancing the loans or selling the properties if market interest rates move upward. 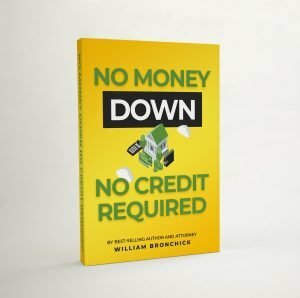 Free eBook on how to purchase properties with no money down! Click Here!